SHAFAQNA – The Grand Ayatollah Makarem Shirazi answered a question about delaying Qadha fasting to the next Ramadhan. Question: What is the duty of a person who had an excuse (not to fast); and after removal of that excuse does not do Qadha fasting on purpose until the next Ramadhan? 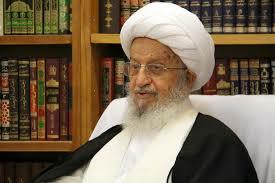 The Grand Ayatollah Makarem: Whenever fasting of the Month of Ramadhan is not done due to an excuse or on purpose and Qadha fasting is not done until next Ramadhan whilst the excuse has been removed; must do Qadha fasting later and pay Kaffarah equal to one meal (750 grams of food) for every day. Also if does not do Qadha fasting until it is too late and find an excuse in that time, must do Qadha fasting later and pay Kaffarah. But if has not delayed on purpose and an excuse was found, only need to do Qadha fasting.